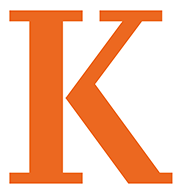 Kalamazoo College has over 70 registered student organizations on campus. Among them are the Jewish Student Organization, Asian Pacific Islander Student Association, International Student Organization, Progressive Organization for Women, Black Student Organization, Cirque du K (circus arts), and the Environmental Organization. In addition, K students publish the Index, a weekly student newspaper; operate a radio station for the campus, WJMD; and run the Frelon Dance Company. Student organizations are expected to demonstrate cultural, social, and/or educational advantages to the Kalamazoo College community. See the complete list of student organizations.